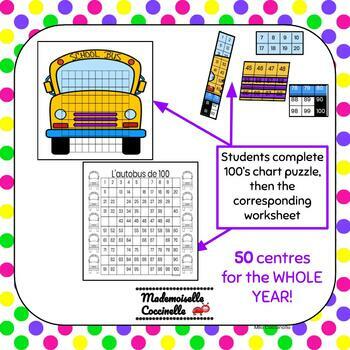 FRENCH Math Centres - 100's Chart - Puzzles and Worksheets FOR THE YEAR! 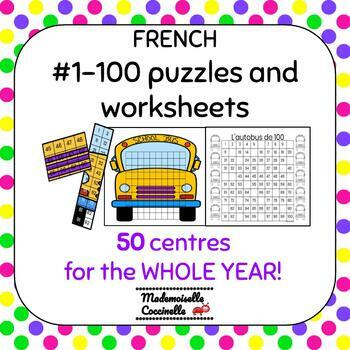 French #1-100 Puzzles and Worksheets FOR THE YEAR! Solving 100's chart puzzles and completing corresponding worksheets. 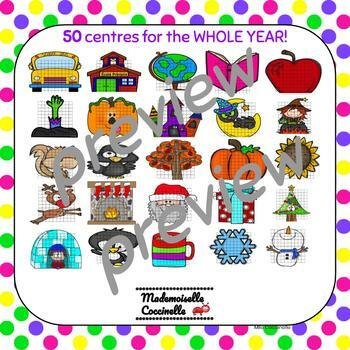 Keep your students motivated to work with numbers all year with 10 different themes (one per month of school) = 50 different 100's chart centres and worksheets! This product can be used independently, in centres, small groups or as a whole class. 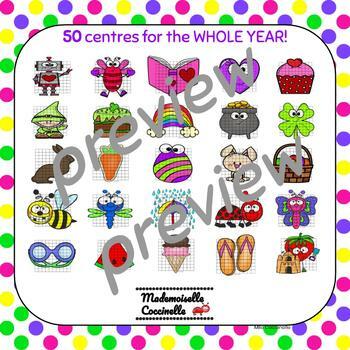 = 50 DIFFERENT HUNDREDS CHARTS FOR STUDENTS TO COMPLETE! Increase confidence in the French language, comprehension of common French vocabulary and overall enjoyment of the French language through interactive learning activities.